the wait was to long. get tothe point.keep it simple. keep it fun. dont wanna hear no mama in the background of the call. needs new material. This aint no prank phone calls. 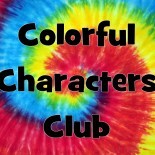 This entry was posted on February 4, 2014 by colorfulcharactersclub and tagged family, friends, fun, kid, kids, pranks, teen, teens, Tween, tweens.